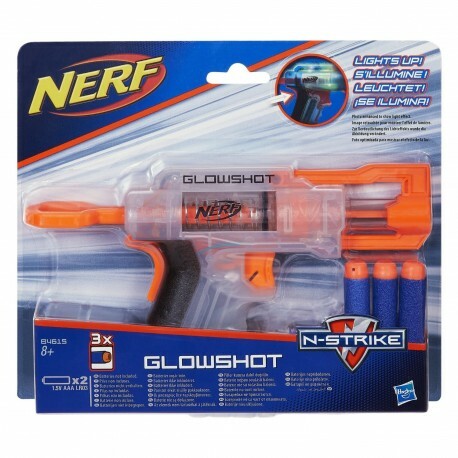 Illuminate the battle with the light-up GlowShot blaster! 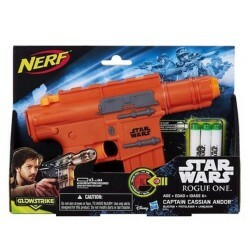 Press and hold the button on the grip to make the blaster glow. 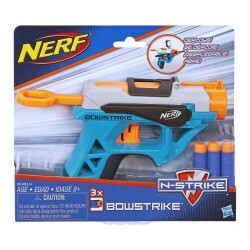 Then, fire away: load 1 dart into the barrel, pull the handle back, and pull the trigger to send a dart flying through the air. 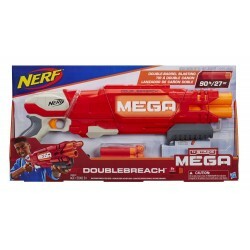 The Nerf N-Strike GlowShot blaster has a compact size for stealth blasting and comes with 3 darts. 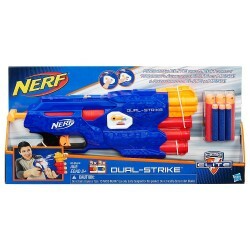 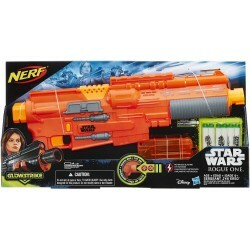 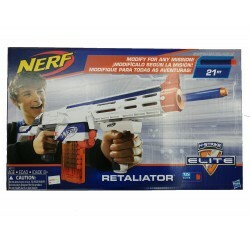 •Includes blaster, 3 darts, and instructions. 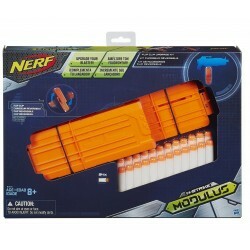 •Requires 2 AAA batteries (not included).